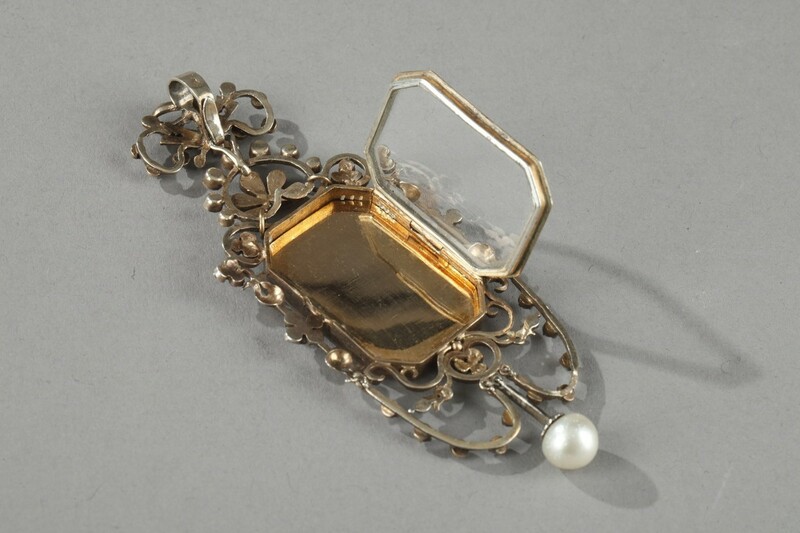 Vermeil and silver pendant adorned with a miniature on ivory rectangular shape with cut sides. 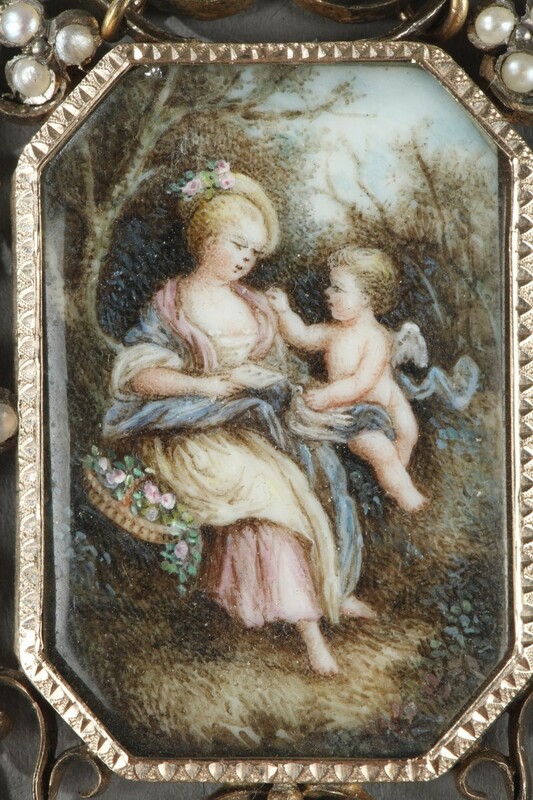 The 18th-century style miniature depicting a young shepherdess and a cherub in a landscape. 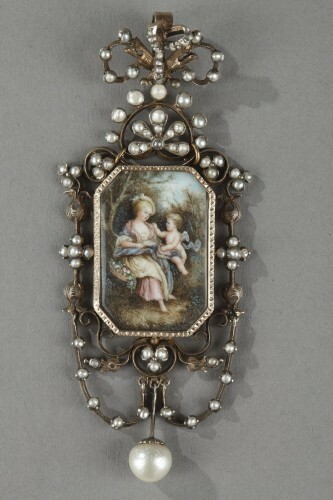 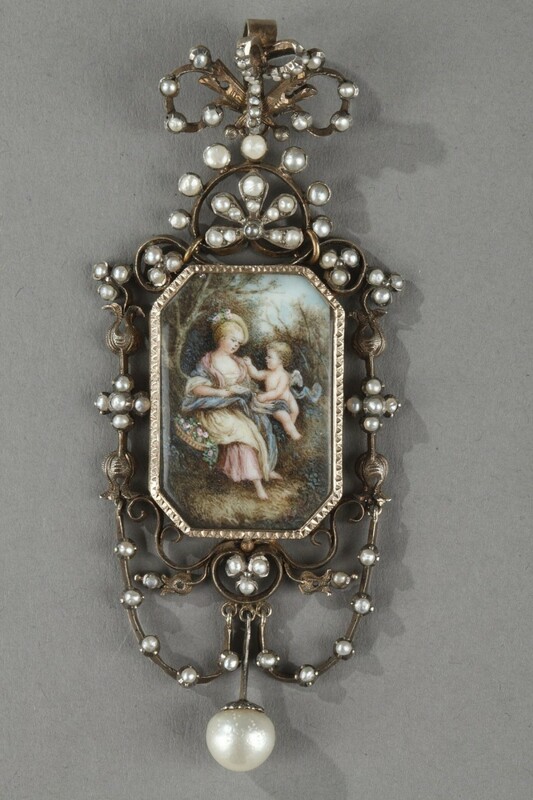 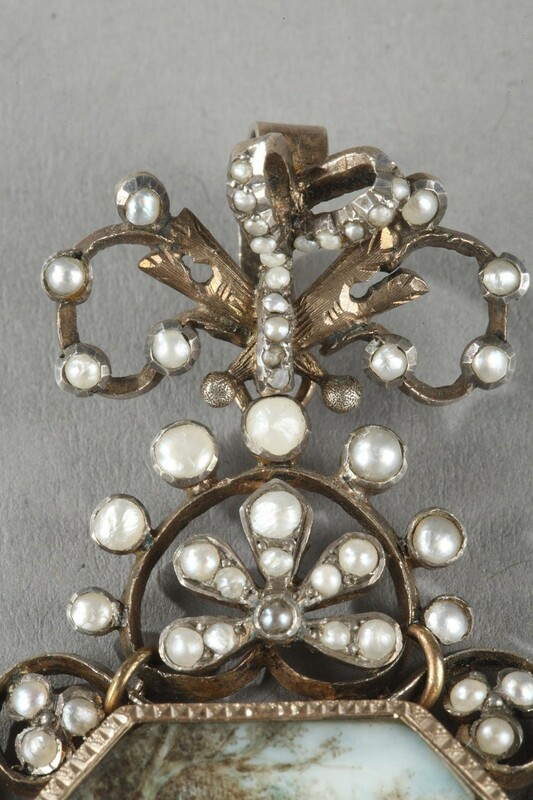 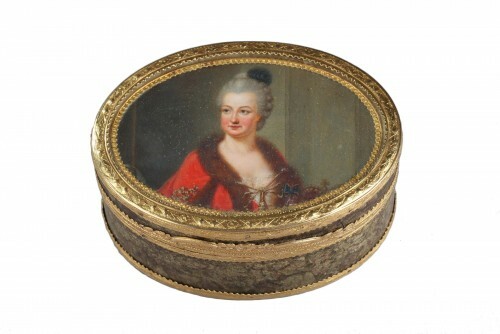 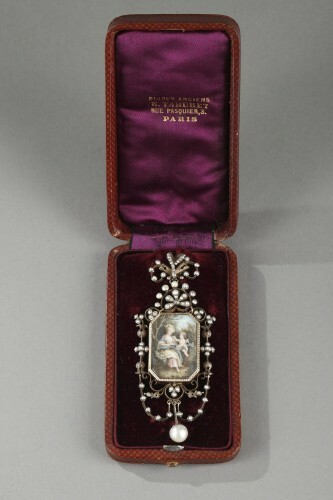 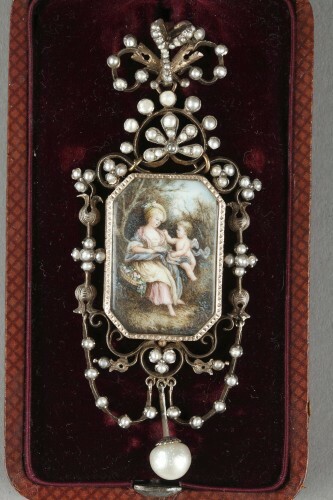 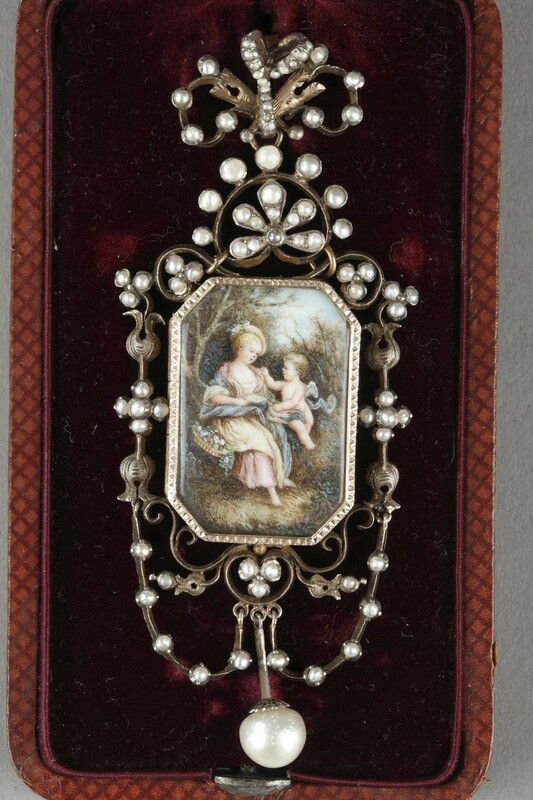 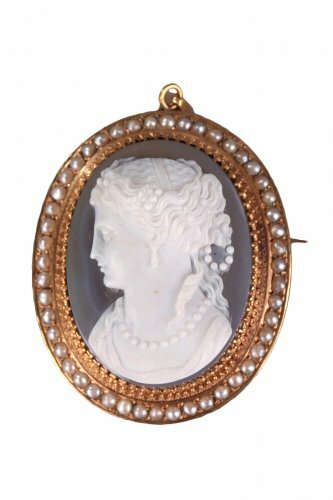 The miniature is set in a silver frame set with half pearls. 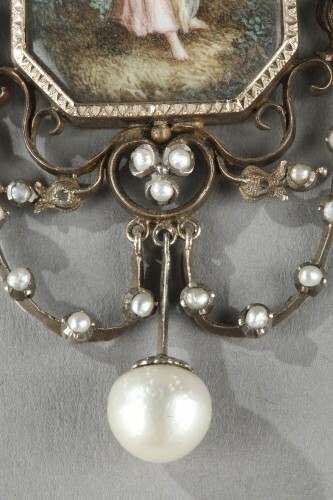 This composition is surmounted by a bow decorated with quiver motifs and finished with a pearl. 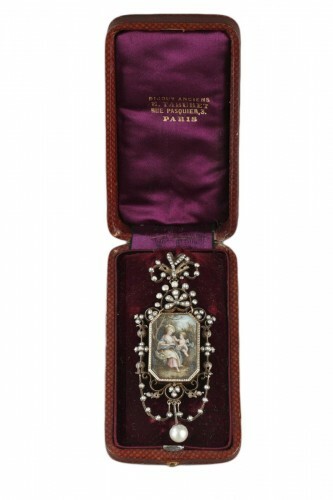 The pendant has its original green leather storage case signed E.Taburet. 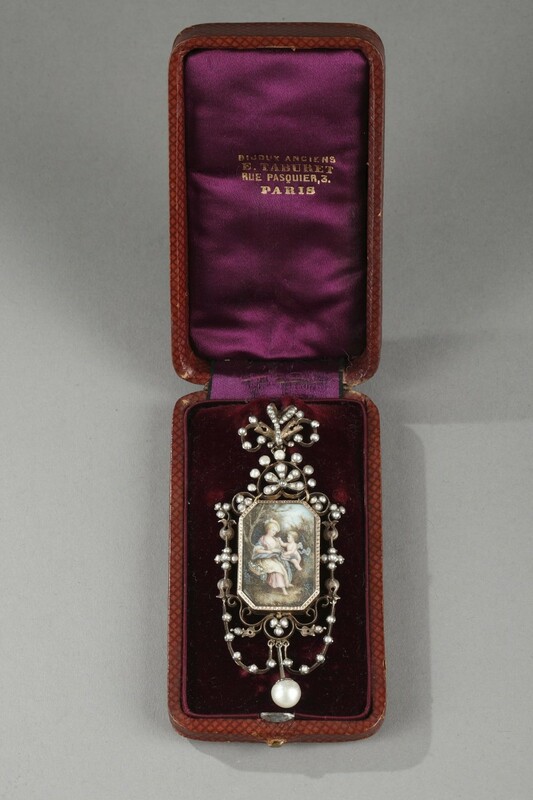 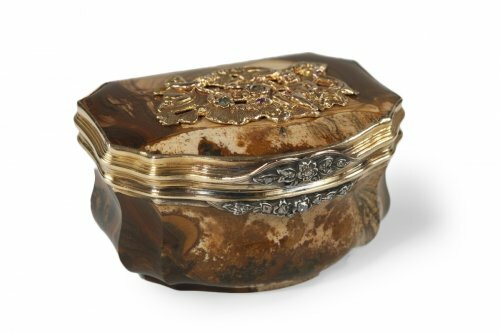 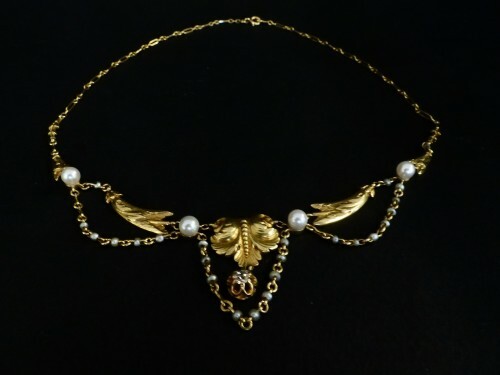 The jeweler Emile Taburet exposed his work at the 1880 exhibition of the Union Centrale des Arts Decoratifs. He established his official silversmith mark a year later. 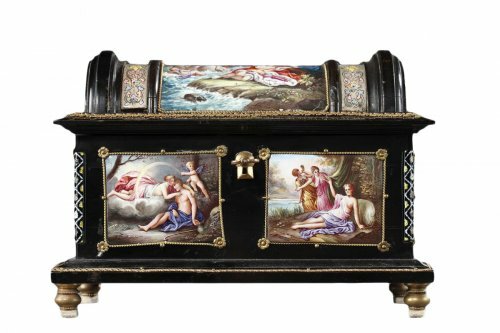 He created the Boin-Taburet firm around 1880 with the antique dealer Georges Boin.